I wonder if BMW knew how popular its M2 would become when it was in development. Since the BMW M2 first debuted, it’s been one of the most highly talked about cars in the world. Admittedly, it deserves it, as its popularity isn’t all hype. It really is that good. However, it’s almost shocking how polarizing it’s become. But the biggest reason that it’s become so beloved is the fact that it offers a sensational performance package for a great price. While its $51,700 starting price in the USA (around £50,000) isn’t necessarily cheap, it’s a fantastic price point for the sort of performance the M2 provides. With 365 hp and 0-60 mph in 4.0 seconds, the BMW M2 is an excellent performance value. But the M2 isn’t the only car that offers great performance for the money. For around that same price point, you can get quite a few cars, both new and used, that are also great to drive. So let’s take a look at some of the sports cars BMW M2-money can provide. Porsche Cayman S ($64,100) – Okay, so the Porsche Cayman S costs a bit more than the BMW M2. In fact, it’s almost $15,000 more than the M2. Especially considering that the M2 comes with more as-standard equipment than the Cayman S. It’s also even a bit slower than the M2, getting from 0-60 mph in 4.7 seconds instead of the M2’s 4.0. However, despite all of those deficiencies, the Porsche Cayman S is still one of the absolute best driving sports cars in the world. In fact, its mid-engine layout, perfect balance and razor-sharp steering make it preferable over the M2 to many people. So while it is more money and a touch slower, it’s actually a touch sharper, so it could be worth the extra money. Jaguar F-Type ($61,400) – Again, the F-Type is a bit more expensive than the M2. It’s also a bit slower, taking 4.9 seconds to get from 0-60 mph. However, it is gorgeous. Plus it’s really good drive, with an exciting 340 hp supercharged V6 engine, tail-happy antics and a fantastic exhaust note. Oh, and did I mention it’s flipping gorgeous? Okay, so the BMW M2 is probably still the better driver’s car, as it’s sharper and faster for less money. But there is something to be said about the excitement of ownership. Driving an F-Type is exhilarating at any speed and it’s almost impossible not to look back and stare at it after getting out. That excitement of Jaaaaggggg ownership is hard to pass up. 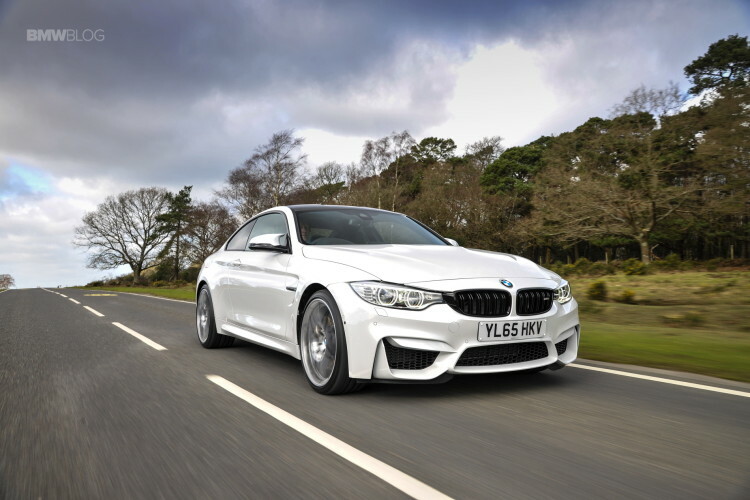 BMW M4 ($66,200) – Yes, the BMW M4 costs quite a bit more than the M2 and it’s a bit bigger and a bit heavier. However, it’s also a lot more powerful, boasting 425 hp. It’s also faster, doing 0-60 mph in 3.9 seconds (with the optional DCT). But it is the big-daddy M car and the one with the family lineage (sort of). Aston Martin Vantage V8 ($50,000 – $65,000) – What used to start out with a six-figure price tag now costs around the same price as a brand new BMW M2. That’s because sometimes depreciation can be wonderful, so long as you take advantage of it happening to other people’s cars. The breathtakingly beautiful Aston Martin Vantage is simply one of the coolest cars money can buy. Not many cars can make you feel like James Bond. Admittedly, the Vantage V8 will be quite a few years older than the BMW M2 and come with way less technology. In fact, the technology in the Vantage, specifically the navigation system, is quite horrific compared to the M2. But it does pack a glorious V8 (4.3 liters in early cars and 4.7 liter in later cars) that makes and incredible noise. It’s more powerful than the M2 (380 hp for 4.3 liter and 420 for 4.7 liter engines), but not any faster. But speed doesn’t matter when driving a car as exciting and as stunning as the Vantage V8. BMW 1 Series M ($45,000 – $70,000) – Yes, that’s a large price gap. However, 1M prices have gone a bit crazy lately, as it’s started to appreciate in value and become a highly collectable car. But good examples can be found for the same money as the BMW M2. It’s also considered to be the best car BMW’s made in the past decade by many enthusiasts. So it could be worth every penny, despite being an older car. 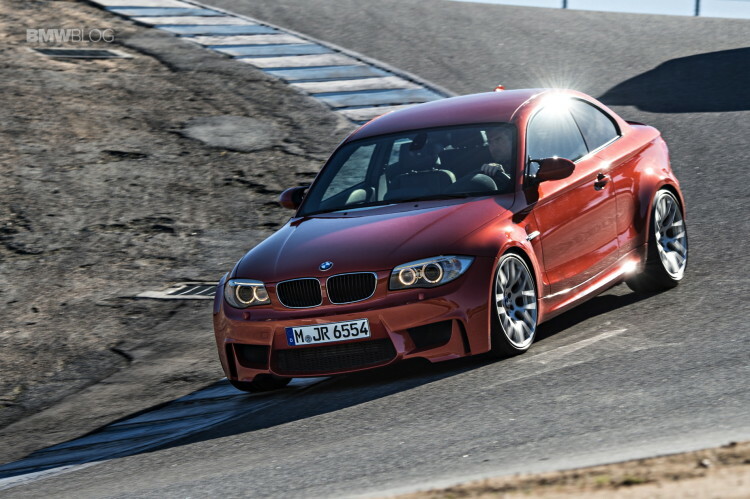 The BMW 1M is a touch slower than the BMW M2, with 335 hp doing 0-60 mph in 4.5 seconds. However, it’s that far purer car than the M2. Its steering is dripping with feedback and its exhaust note free of any sort of speaker augmentation. It’s the BMW M car that many enthusiasts use as a benchmark for modern BMW M cars. It has all of the intangible M car qualities that BMW enthusiasts desire. Plus, it’s a good investment, as it will probably be worth more than you paid for it in a few years. Those are just a few of the cool cars you can get for the same money as the BMW M2. However, to be completely honest, the M2 is still probably the best buy of them all. It comes with a fantastic blend of power, performance, excitement and everyday usability but it also comes with a warranty, as it’s brand new. It will also hold its value well, thanks to its incredible desirability. So while there are many new and used alternatives to the M2, all of which offer good cases for themselves, the M2 is still probably the best performance car for the money.